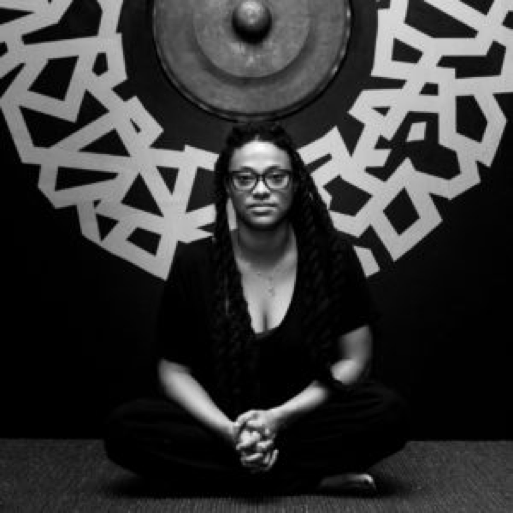 Congratulations to College of Fine Arts alumni Ya Levi-La’ford (BS 2002) and Michael Wyshock (MFA 2002) for their featured work at the Tampa Museum of Art’s Skyway: A Contemporary Collaboration exhibition. Skyway: A Contemporary Collaboration was opened simultaneously at The Ringling (Sarasota), The Museum of Fine Arts St. Petersburg, and the Tampa Museum of Art on June 24th. The exhibition features 57 artists from Hillsborough, Manatee, Pinellas, and Sarasota County. Works were chosen by a committee of curators from each participating institution as well as Diana Nawi, a guest juror from Pérez Art Museum Miami. We had the opportunity to speak with alumni that participated in the collaboration about their career and the impact FSU has made. What have you been doing since graduating Florida State University? I built a strong foundation and network from our own garnet and gold. It was my introduction into independence and creativity. I remember this was a period where I had to learn about balance and self discipline. My favorite classes were with Mark Messersmith who gave me the foundations and built my confidence in creation. My parents still have many of the paintings I created under his mentorship. They always bring me back to a place of mixture. Mixing colors is very much a metaphor to life. What has been your favorite working experience? Traveling to Egypt and installing in Cairo was the height of bridging my universal language driven practice. Walking though ancient civilizations and the first representations of public art, human language and culture was magic. Installing new contemporary work with treasured history – this juxtaposition was beautiful. Exhibiting my artwork in over 130 exhibitions throughout the United States and in 14 other countries. Currently my artwork is represented by Alfstad & Contemporary. I have also been teaching art at colleges and universities since graduation and currently teaching in the Fine Arts Department at Ringling College of Art and Design. Collaborations with artists, musicians, galleries and collectors on special projects. In 2016, I was commissioned to create a 7-hour animation, all hand drawn, for the Blue Balls Festival in Switzerland that also gave me the opportunity to work with several musicians from past projects. We were able to have one of the bands, Crush Diamond from Houma, Louisiana, play an amazing performance live at my exhibition Between Zero and One, at Alfstad & Contemporary Gallery in Sarasota, Florida. Have you ever worked with any other alumni in your career or with other members of the FSU family? Yes. 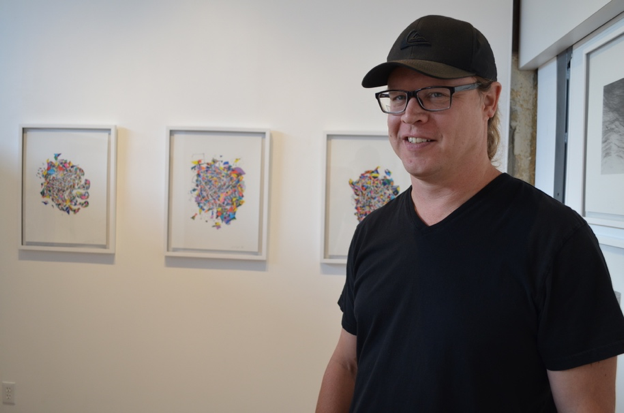 Matthew McLendon was the Curator of Contemporary Art at Ringling Museum before he moved to Director position at University of Virginia this past year. He gave a talk at my exhibition Water Threads at Lu Magnus in New York City in 2014. Tyler Mauney and I collaborate on multiple music and video projects. Joe Sweeney and I worked together on a video project. Jason Feltrope and I have worked on several video installations together. I have also worked with Charles Williams and Scott Marini on art workshops and lectures at Albany State University in Georgia, where they teach art. At FSU the MFA Studio Art program was structured in a way that allowed a group to share ideas in an open way through the studio environment. We challenged one another in critical theory discussions and materials. Many conversations from the late nights working in the studio with other MFA students continue today.